The wait is over! 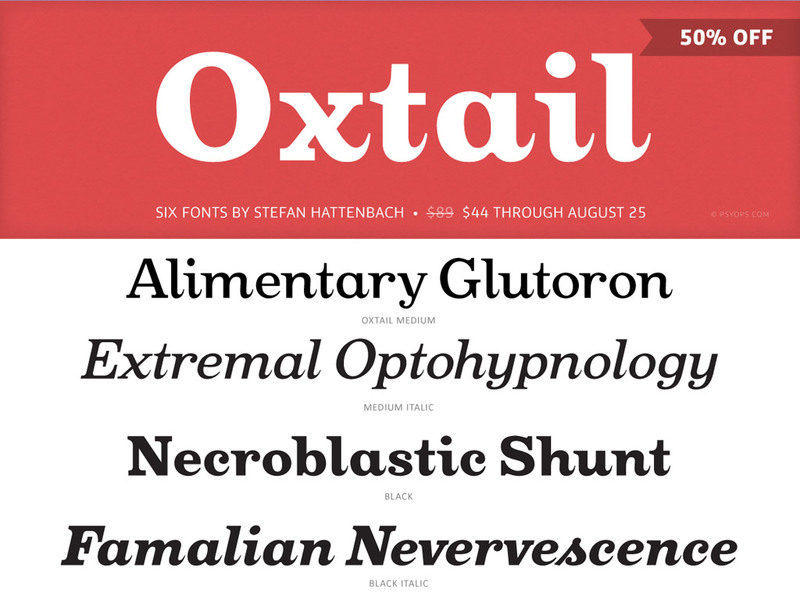 The complete 6 font typeface Oxtail is on sale now. $44 (50% off) through August 25th. The Oxtail Set typeface has its roots in the Egyptienne-family which became popular in the beginning of the 19th Century. To make the family more unique and personal, ”twists” have been crafted throughout the design. All together Oxtail Set is a family of 6 weights, including: Medium, Medium Italic, Bold, Bold Italic, Black and Black Italic.